Title: 02/16/1988 - Hexavalent chromium in photocopier toners. This is in further response to your letter of December 18, 1987, regarding hexavalent chromium in photocopier toners. As we mentioned in our November 24, 1987, letter, an analysis of the photocopier toner indicated that hexavalent chromium was present at .003 percent and therefore did not, under the Hazard Communication Standard, have to be reported on a material safety data sheet. In addition, we asked you if you had evidence that a health hazard existed or if an Occupational Safety and Health Administration's (OSHA) permissible exposure limit could be exceeded where toner chromium concentration is .003 percent. Like you, OSHA is concerned about employee exposure to chromium. The evidence you presented in your letter, however, is not sufficient to support that a permissible exposure limit would be exceeded or that a health hazard exists at a chromium concentration of .003 percent. Additional support such as actual sampling data and animal and/or human studies demonstrating a carcinogenic effect (at a .003 percent concentration) would be needed before OSHA could require manufacturers to inform employees of the carcinogenic risk of chromium at a .003 percent concentration. Our review of the current scientific literature indicates that such evidence does not exist at this time. In addition, present scientific evidence indicates that only hexavalent chromium is carcinogenic. Therefore, when evaluating the effects of chromium or its compounds only chromium in the hexavalent state would be considered carcinogenic. You state that your client is concerned that his employees might be exposed to chromium. Under the Occupational Safety and Health Act of 1970 each employer is responsible for the safety and health of his or her employees. It would, therefore, be your clients responsibility to ensure that his employees are not being exposed above the permissible exposure limit (0.5 mg/m3 for soluble chromic or chromous salts as chromium and 1 mg/m(3) for metal and insoluble salts). 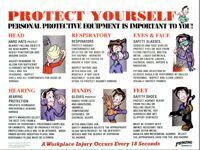 This responsibility applies even though an employer may not have received a material safety data sheet. If I can be of further assistance, please feel free to contact me again. 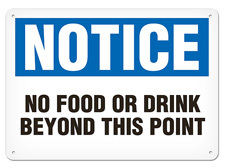 Warn your employees about workplace hazards and policies with signs, training materials and more from Safety Emporium.